#TBT We are flashing back to 1948 and the Boylan Pearce building in Raleigh, which was decorated for Christmas. Constructed in 1911 in the Beaux Arts design tradition, the building was over 25,000 square feet. 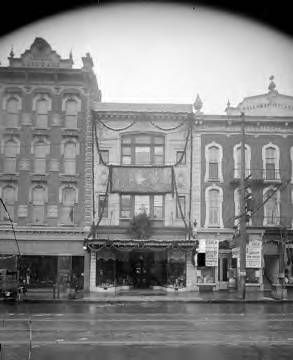 During the first half of the twentieth century, Fayetteville Street was the region’s main shopping district and Boylan-Pearce was the department store that brought high fashion to the capital city. The store moved to Cameron Village in 1955, then later to North Raleigh, before closing permanently in 1990. The Boylan Pearce building is now being renovated to restore the façade to its former glory. Happy Thursday!